Boil the diced potatoes for 5 minutes (they still should be firm) and then cool in a bowl of ice water. 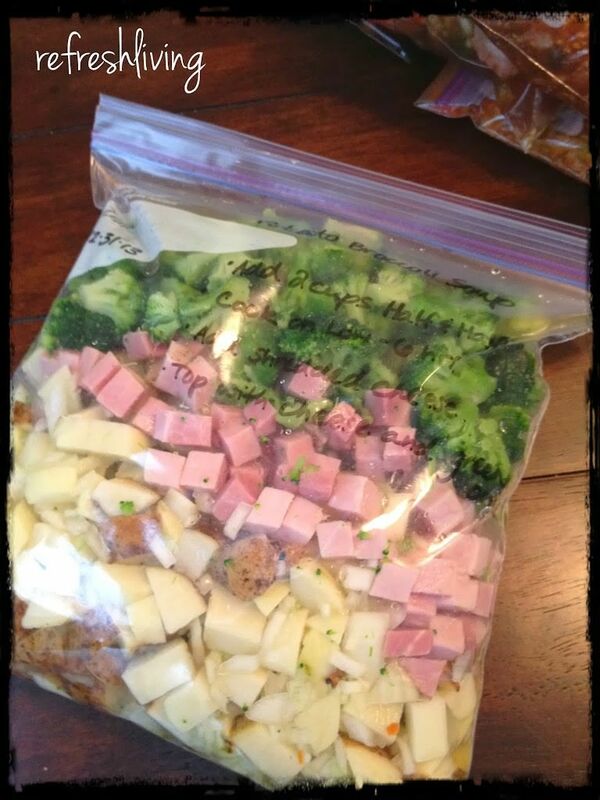 Combine all ingredients (except half & half and cheddar cheese) in a ziplock bag and freeze for up to 3 months. When ready to cook, placed contents of bag into slow cooker and cook for 6 hours. During last 30 minutes of cooking, use an immersion blender or masher to puree/mash some of the potatoes and broccoli. Add half & half and cheddar cheese and cook for an additional 30 minutes.